Perhaps no psalm is more widely known than Psalm 23. Spoken by David during a time of great stress and difficulty, it summons us to lie down in green pastures and walk thru the valley of the shadow of death. Yet so often it seems we do just the reverse, lying down in the valley and fixating on the danger, fear, and uncertainty. We wonder where God has gone and why he doesn't make things right, never considering that perhaps what we perceive as a spiritual trial is actually an invitation from God. 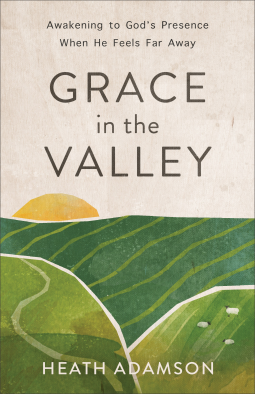 In this inspirational examination of Psalm 23, Heath Adamson asks the provocative question: What if the green pasture and valley of the shadow of death is the same place? Uncovering the rich historical and spiritual context of the shepherd's psalm, he explores how God has provided a place of rest for each of us, even in the times of unrest, uncertainty, moral ambiguity, and fear.